It's Friday and I actually have an FO to show off. Woot! About a year and a half ago, I took some crochet classes from my friend Laura. Since then I have fallen deeply in love with crochet and Laura has started doing some designing of her own. 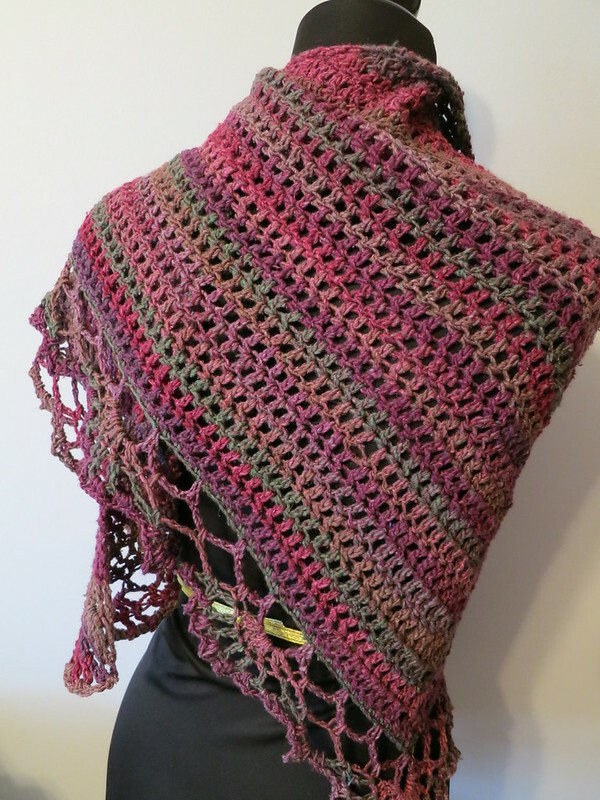 I was so excited when her latest pattern, Tangier Wildflowers Shawl, came out with Cascade Yarns that I immediately had to order some yarn and get out my crochet hook! The color I chose is Galaxy. It's so beautiful. And I love the long, slow color change of this yarn. It's stripes so perfectly (which can be hard with crochet, since it uses up so much yarn). 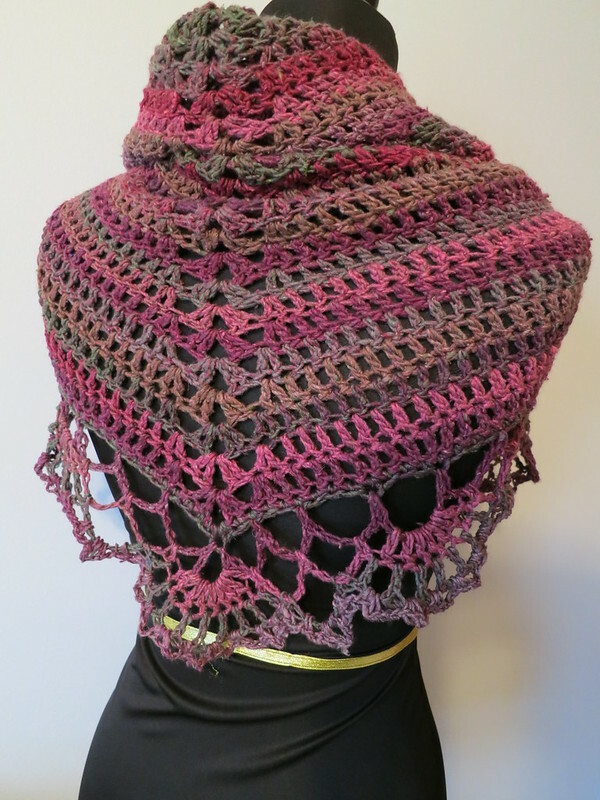 This shawl went so quick (one of the many reasons I love crochet so). Three days and it was done! I'll definitely be wearing this all weekend. 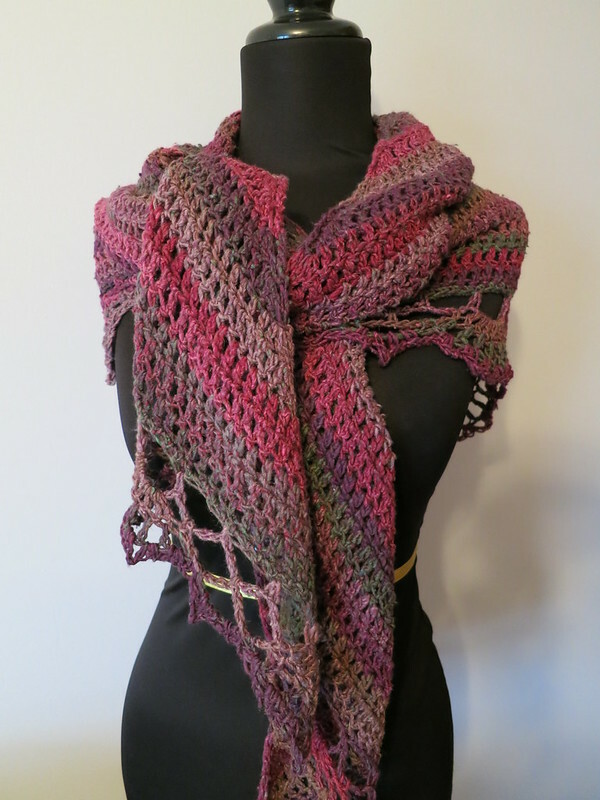 It's gotten very fall-like here in Chicagoland the last few days and this snuggly worsted weight shawl will be perfect for the outdoor activities I have planned.